 Log In needed Dog walker * First walk free * Dog Sitter/ House Sitter! Hello! My name is Kaitlin, and I simply adore animals! 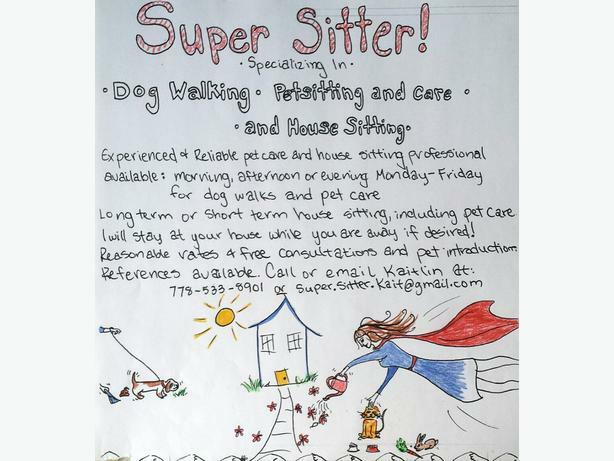 I'm an experienced and reliable pet sitter, house sitter and dog walking professional and your dog's first walk is free for a limited time! I have quite a flexible schedule for your pet's needs, as I am currently a student studying Art Therapy while I work with animals! I provide long- term or short-term pet care and house sitting at reasonable rates. I will stay at your house with your pet(s) while you are away to reduce the stress on your beloved critters. I provide free in-home pet consultations and introductions to determine if you, your pet, and I are a good fit! References available! Send me an email inquiry if you are interested in my services, and we can set up a meeting! Looking forward to hearing from you!